As we know,everyday our skin is exposed to harmful pollution, stress and also aging. Therefore we need something more, something that can strengthen and boost up our Langerhans Cells which can be found in our skin. 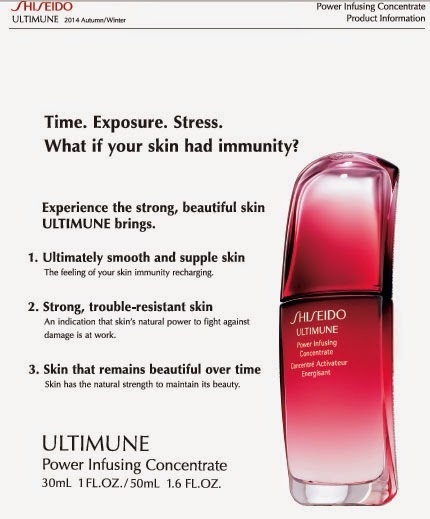 In a nutshell, Shiseido Ultimune is a concentrated and light weight pre-serum that can boost our skin immune system and therefore makes our skin look younger and radiant. When used as a pre-treatment, 80% of women felt Ultimune boosted the effects of their skincare regimen. After 4 weeks, 90% noticed an increase in skin’s moisture. In 1 week, 86% of women felt skin became more supple and radiant with improved clarity. 90% felt skin became smoother. Daily use of Ultimune will help make skin visibly brighter, softer, and more hydrated and you’ll see makeup glide on over softer skin. Wrinkles and lines appear less visible too. 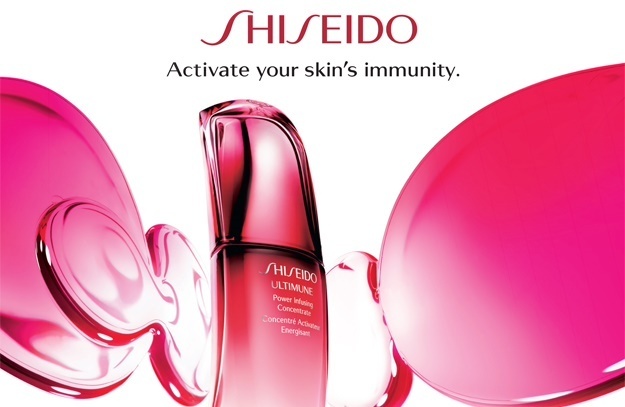 Shiseido Exclusive Ultimune Complex, is formulated with Bulgarian Rose Water, Aqua in Pool and Yeast Extract to protect and strengthen skin against day to day damage and signs of aging. Powerful botanical blend of Gingko Biloba Leaf Extract, Shiso and Thyme maintain a healthy skin surface and protect against impurities. 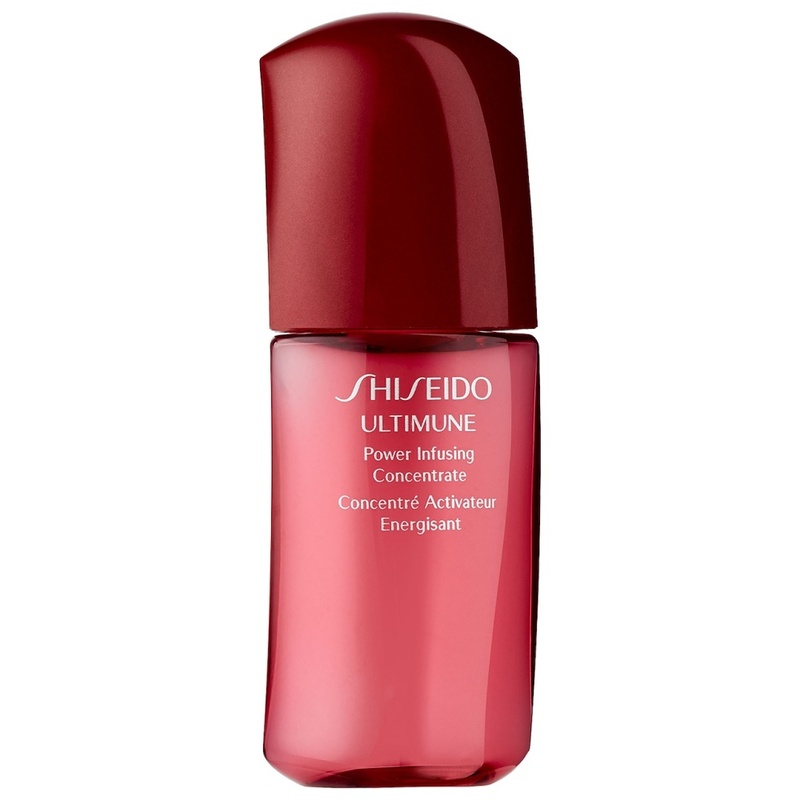 Texture: Shiseido Ultimune Power Infusing Concentrate texture is milky fluid. It is very light weight and easily absorb into our skin. Scent: It has a very mild green floral scent that can calm the skin. 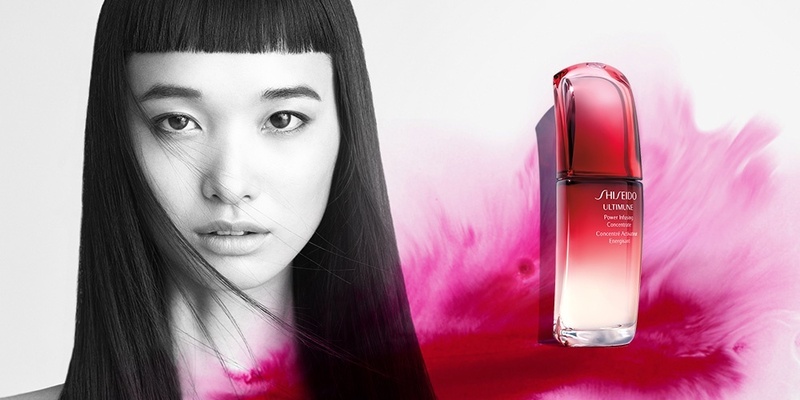 Most of the ingredients for the Shiseido Ultimune derived from plants. – Apply morning and evening after cleansing and balancing skin. 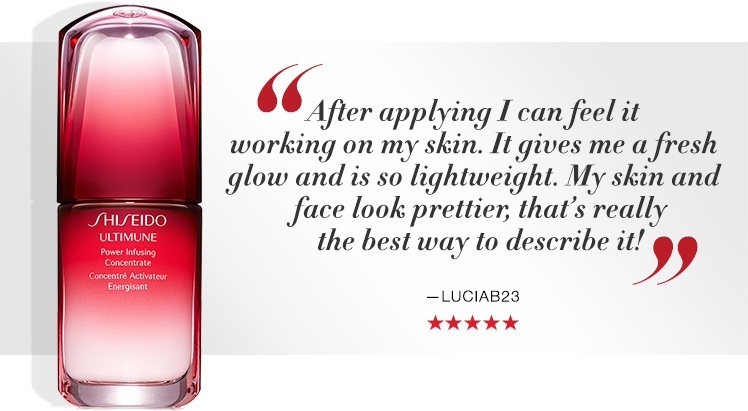 Apply Ultimune before using targeted serums or your moisturizer for enhanced results.